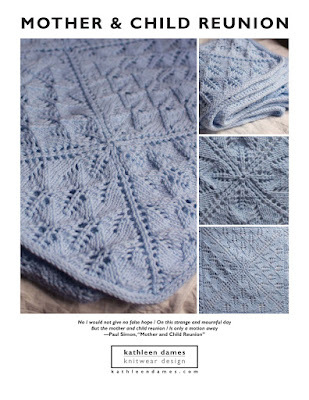 I've started to post to the Knitlist with answers to people's questions. Whee! "Cast on appropriate number of stitches (try for a multiple of eight. which makes for nice decreases at the top) for desired circumference and gauge in pattern. Join for working in the round and work for approximately 7" (for adult size). For a multiple of eight caston: K6 k2tog to end of round; knit one round even; k5 k2tog; even. And so on until you have 4/8/12 stitches on the needle (sort of depends on the bulk of your yarn). Cut yarn leaving a 6" tail. Thread tail through live stitches, tighten like a drawstring, then secure and weave in end inside hat. "I did a pile of hats in Blizzard (bulky alpaca blend) a few years back in almost this pattern, but with a decrease every row (knit for another inch or so before starting decreases), which formed this lovely spiral pattern on top." For the Blizzard hats, I think I started with 42 stitches (multiple of seven, not eight, but whatever). I'm intrigued by people asking for a hat pattern, since they're so basic. But lots of people need big directions, I guess. Nothing wrong with that. Sometimes I do, too, but it's so fun when you start to understand the structure and can then riff on that.